The only enterprise grade low-code website builder for Drupal 8. Design and develop better together. Learn how DX8 allows development teams to redistribute valuable developer resources and increase productivity. Learn how DX8 allows design and UX teams to create, implement and optimize user experiences. Learn how DX8 empowers marketeers with the tools to create and publish rich content that will delight their users. DX8 for new and existing websites. Create rich content with a powerful drag and drop component based authoring experience. Build websites end-to-end using a drag and drop visual layout builder and style builder. Answers to common technical questions. Where do I need to host my website? You can host your website wherever you want. DX8 only requires a module which you install on your websites and an API key. The DX8 API is used to compile Twig, CSS and JS which is then sent back to your Drupal installation. The API is not required for your website to run, only for creating new layouts and styles. Does it work with the Acquia stack? DX8 has been developed to work with Acquia technology. 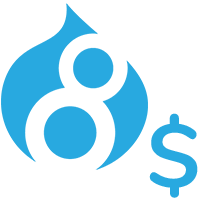 It works with Acquia Cloud, Acquia Cloud Site Factory and Acquia Lift. The DX8 development roadmap includes closer integrations with these technologies. Does it work with multilingual websites? DX8 stores content within a Drupal field that can be added to any content entity. Content within this field can go through Drupal's translation system just like any other field. Text added to DX8 templates is wrapped in translation tags so that it is picked up by Drupal's translation systems. Does it work with revisions and workflow? Pages using DX8's layout builder are compatible with revisions and workflow just like any other Drupal pages. Can I use it on an existing website? You can use DX8 on an existing website to offer the page layout and content authoring capabilities to website editors. When using DX8 on an existing website you can simply add the DX8 layout builder field to content entity bundles where you want to provide this feature. You'll also need to use DX8's component builder to create content and layout components for your website editors to use within the layout builder. Can I extend it's functionality? If you're a developer, you can extend DX8's functionality using the methods below. Field data from content entities can be rendered on a DX8 template either as raw data via tokens, or using the field’s default Field Formatter. If using a Field Formatter, the output will be exactly as defined by the field module. This means DX8 will work seamlessly with core fields and contributed modules that supply their own layout and templates for their field output. Developers are also able to create custom fields with custom formatters and DX8 will render these exactly as the developer has defined. The simplest way to inject developer created layout and styling into the DX8 templates is to define them as a standard Drupal block. With that approach you can create any layout you need, bring in blocks defined in drupal.org modules and retain 100% control of the layout of that block. Supporting the Drupal community around the world. We support the Drupal community financially. 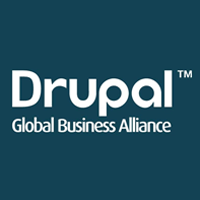 We support the wider Drupal business community by contributing to the Drupal Business Alliance. Scott Brinker's vision of low code.